Great side story to the saga! A Jedi must be a fearless warrior, a guardian of justice, and a scholar in the ways of the Force. But perhaps a Jedi’s most essential duty is to pass on what they have learned. Master Yoda trained Dooku; Dooku trained Qui-Gon Jinn; and now, Qui-Gon has a Padawan of his own. But while Qui-Gon has faced all manner of threats and danger as a Jedi, nothing has ever scared him like the thought of failing his apprentice. Obi-Wan Kenobi has deep respect for his Master but struggles to understand him. Why must Qui-Gon so often disregard the laws that bind the Jedi? Why is Qui-Gon drawn to ancient Jedi prophecies instead of more practical concerns? And why wasn’t Obi-Wan told that Qui-Gon is considering an invitation to join the Jedi Council - knowing it would mean the end of their partnership? The simple answer scares him: Obi-Wan has failed his Master. When Jedi Rael Averross, another former student of Dooku, requests their assistance with a political dispute, Jinn and Kenobi travel to the royal court of Pijal for what may be their final mission together. What should be a simple assignment quickly becomes clouded by deceit and by visions of violent disaster that take hold in Qui-Gon’s mind. As Qui-Gon’s faith in prophecy grows, Obi-Wan’s faith in him is tested - just as a threat surfaces that will demand that Master and apprentice come together as never before or be divided forever. 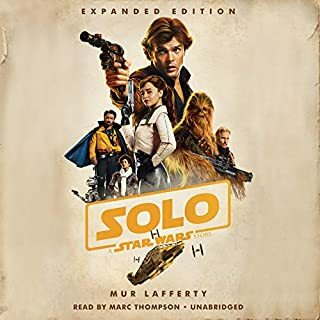 was good enjoyed it but compared to the other audiobooks I've listened to...the story was only decent.some parts really had me hooked while others where ho hum. 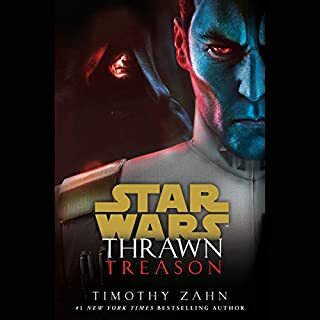 The prequels are being expanded upon well here, and I hope in future novels. A great cast of characters, and great voice work by Jonathan Davis. if I had to be honest I have not been a fan of anything really that Disney has done with this franchise. I stand by to this day that throwing out the expanded universe was a mistake. 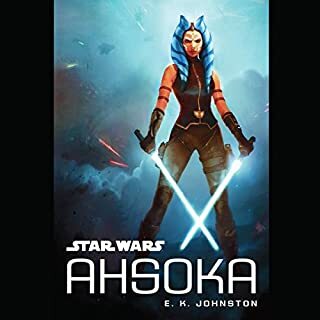 Now I'm glad for once a character that's barely been explored even in the expanded universe what little we do have unfortunately are novels that are hard to find and have been out of print for years. finally Qui-Gon Jinn has his own novel that is easily accessible. master and Apprentice was a great time it's the closest thing to a Legends novel to me. 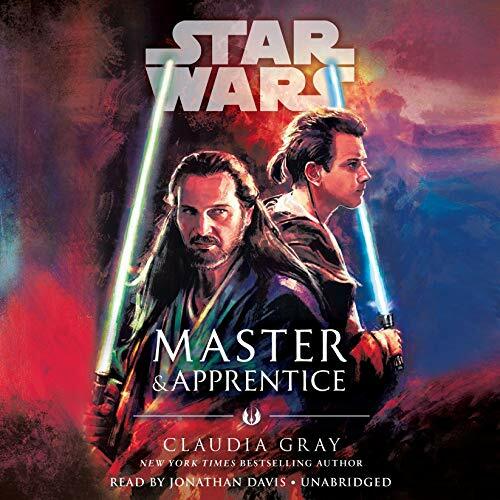 it seems like Claudia Gray knew her stuff when it came to master and Apprentice in some instances I see some homage to Jade Watson's Jedi Apprentice series. The book was great from beginning to end. 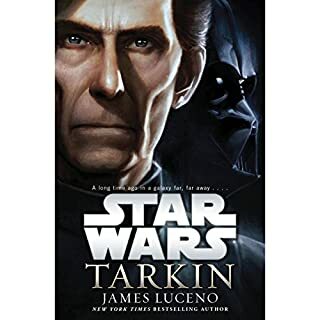 This book unlike the expanded universe explore the relationship between Qui-Gon Jinn and Count Dooku. Though I couldn't help but crave more.I feel like the flashback sections could have easily been its own novel. 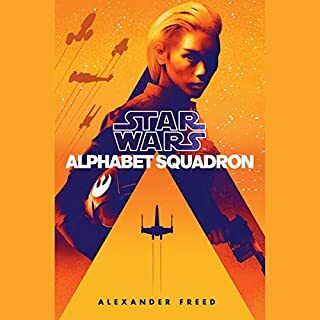 There is some things I will say I didn't like I feel like it was not necessary and I don't understand why they insist on adding explicit language in a Star Wars novel. hearing the word getting laid in a Star Wars novel almost took me out of the story. I have to deduct a point because of it. Unlike Queen shadow I don't feel like the ending was tacked on I thought it was perfect. I really would love more stories with Qui-Gon Jinn and Obi-Wan which is something I really love about the Jedi Apprentice series. I would really like more stories with those two characters. 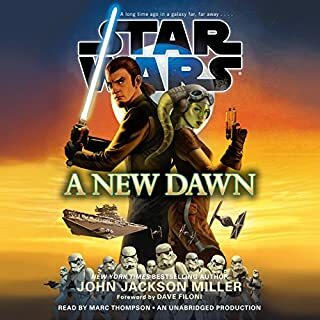 This is the first book I can say in the new Canon that I can say that I consider on par if not better then a lot of the expanded universe novels. 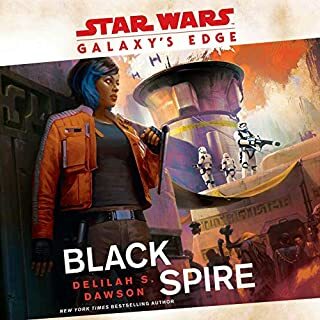 unlike most novels in the new Canon this one feels like it actually matters and actually adds to the Canon. if you are a fan of Qui-Gon Jinn. 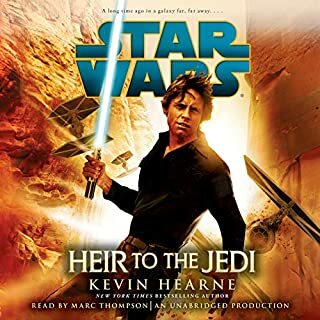 I highly recommend this book it's also the second best thing I could recommend to the Jedi Apprentice series which unfortunately are out of print. 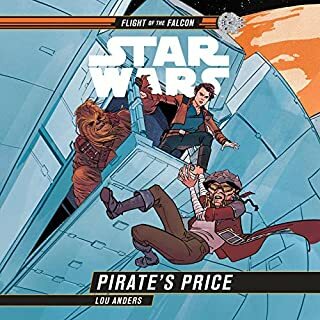 please lucasfilm give us more stories like this. 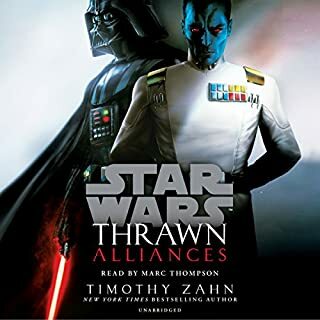 I would really like a sequel to this novel except with Obi-Wan and Anakin. 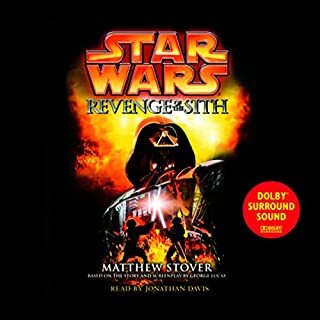 JonathanDavis with another stellar StarWars narration. Claudia Gray has consistently turned in the best entries in the new Star Wars canon. Excellent addition to the back stories of Obi-Wan and Qui-Gon. I'm amazed by Jon Davis's voices. I would have sworn it was Liam Neeson himself lending his voice. finally Disney did it right. I have read all of the star wars books. I have been disappointed in every book since Disney took over. this one finally lived up to the old EU. 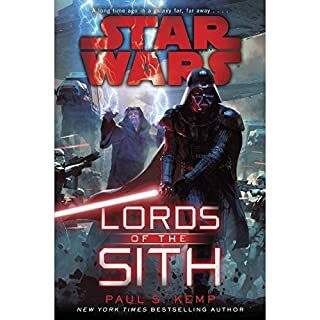 focused on the Jedi, and the mysteries of the force, this book hit it out of the park! absolutely fantastic! this is what star wars is all about. 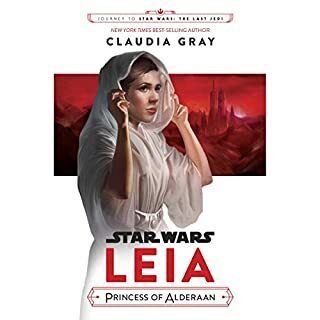 Claudia Gray knocks it out of the park again. she is one the same level of Thimothy Zann with regards to star wars books. 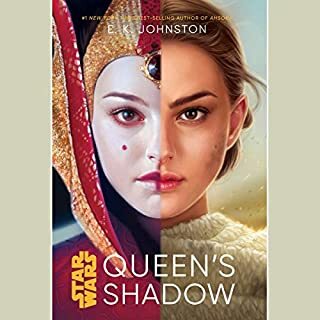 This is a fantastically written book, that explains the history of Obi-wan and Qui-gon Jinn. I love it!!! Claudia Gray once again captures the magic of the Star Wars films, this time channeling the Phantom Menace. There's a lot of worldbuilding, some Dooku scenes, but the primary focus of this him is Obi-Wan and Qui-Gon's relationship as student and teacher as well as Qui-Gon's growing beliefs in Prophecy, especially the Chosen One. Well worth listening to, as Davis did a fantastic job. 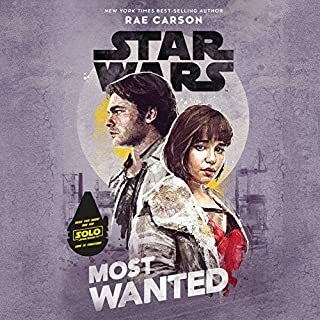 Brief: I've wanted a cannon novel focusing on the relationship and adventures of Qui gon Jinn and Obi Wan Kenobi for a long time. They finally delivered. I came in with high hopes and expectations... I was satisfied. Hope there's a sequel. 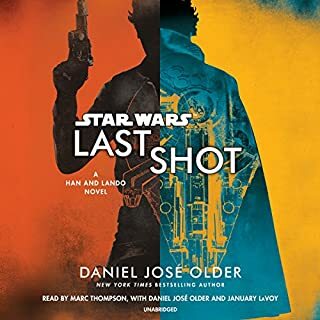 Longer: A lot of Star Wars stories feel remarkably similar. This is not spared from that. It feels quite similar to other cannon novels. In some ways that helps follow the story but also makes a few things predictable. This is more of a gripe then a Major or even minor flaw. I had fairly high expectations and they weren't exactly met or disappointed. They were satisfied as long as there is another in a couple of years. I would really like to pick this story up in a year or two and see it continued into maybe a trilogy. 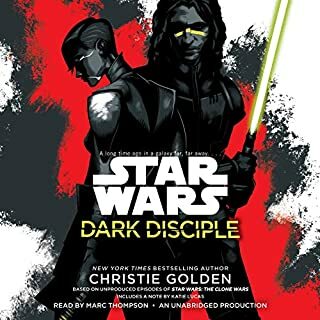 It was enjoyable to see glimpses into Dooku and I have a feeling Lucasfilms purposefully lined this up to lead up to their audio drama about Dooku leaving the order. This satisfied me and left me wanting to see more. Given the way Disney has treated the franchise, I was initially very skeptical of where this novel could go. However, Ms. Claudia Gray did a WONDERFUL job in her writing!! Mr. Jonathan Davis (as usual) was SPECTACULAR in his performance. The sound production was as Perfect as it ever was. The story is great! It gives glimpses into Qui-Gon’s apprenticeship, references a bit if the Fall of Jedi Master Dooku and more. This was a wonderful book! Great job! Very well done, this story further flushes out not just Qui-Gon and Obi-Wan, but also the mysticism of the Force as well. The plot itself is a fun mystery with lots of twists, without becoming horribly convoluted. 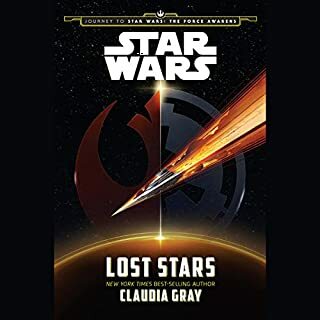 Claudia Gray did an awesome job writing this story, and Jonathan Davis did great work once more as a narrator.